It was Ireland’s very first online wedding awards. There were over 800 postal entries. There were over 950 email entries. There were 10,688 votes counted online. 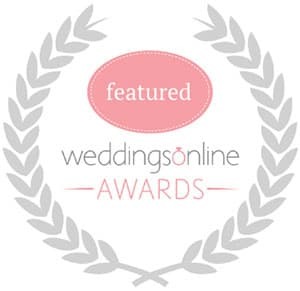 I am also delighted to announce that I am one of the final six nominees for Wedding Videographer of the Year 2009 at the upcoming first annual Weddings Online Awards (also voted for by the brides and grooms of Ireland). 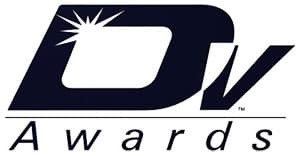 It was only last year that I was “ranked among the best videographers in the world” by the DV Awards, in the categories of ‘Outstanding Wedding Videography’ and ‘Best Demo Reel’. To read the Press Release click here. According to Martin Rhodes of the DV Awards (based in America), I was the first Irish winner in the wedding category. I had previously won a DV Award in 2004 for a short film screenplay that I wrote. I see an award as merely a pat on the back, whether received by my peers or by clients who are happy with my services. Nonetheless, being nominated or winning is very encouraging to work harder and to push yourself further. I would like to thank those of you, sincerely, for supporting me in the online wedding awards polls and for the taking the time to send in your written entires. I am very grateful to you. If you are interested in booking Richard for your big day then fill in this form and Richard will get back to you personally. Please provide as many details as possible about your upcoming special day and the package that you are interested in. Richard’s wedding video dates book up fast, so we encourage you to make contact early to ensure availability! Richard Finlay was recently ranked among the best videographers in the world by the DV Awards. He was also voted ‘Wedding Videographer of the Year’ in Ireland’s very first online wedding awards. In the same year, he was named as a top wedding videographer by Weddings Online.